has chosen a route of more benefit to the planet and reduced emissions. That is, instead of attending, we contacted all of the organizations we are most involved with who have an influential role in the talks and events and will represent the Sierra Gorda in their different venues. Yann Arthus Bertrand will show the 20 minute documentary he filmed not long ago of Pati Ruiz Corzo, GoodPlanet Film Festival, from 16 through 21 June, at the prestigious Odeon cinema in Rio de Janeiro; The Stakeholder Forum is publishing articles like th one attached here on behalf of the NGOs at Rio+20; Natarjan Ishwaran, Director of the Man and Biosphere(MaB) UNESCO will share videos and articles about the best practices being shared from the Sierra Gorda model; UNESCO´s United Nations Decade of Education for Sustainable Development showcases the diploma course from Centro Tierra Sierra Gorda; Earth Day Network´s Billion Acts of Green campaign includes the 53 Earth Festivals held during 2 months this year in the SIerra Gorda Biosphere Reserve thanks to the Environmental Education program of Grupo Ecológico; Forest Trends will discuss the successful implementation of accessible voluntary market practices and the development of local protocols in Queretaro with Governor José Calzada; and various partners will refer to Sierra Gorda as a carbon neutral option, such as MaB UNESCO, Forest Trends and the U.N Foundation, the founding donor that offset their office emissions with Sierra Gorda´s Premium Carbon that is validated under the VCS and CCBA standards. The Grupo Ecológico Sierra Gorda, I.A.P. (GESGIAP) was founded in 1987 by local citizens from the Sierra Gorda, a mountainous region situated in the state of Querétaro, Mexico. It is one of the most ecologically diverse regions of Mexico, but also has high levels of poverty. The organisation has demonstrated that the success of projects for the conservation and protection of biodiversity and sustainable development is determined by a foundation of social strategy that involves the community, has clear and measurable objectives, and is supported by an alliance of government and private sector. When GESGIAP initiated its work, the Sierra Gorda was facing numerous threats common to areas of high biodiversity in Mexico and Latin America, such as extensive cattle ranching, inefficient agricultural practices, forest fires, inadequate forest management, and contamination, all exacerbated by the lack of knowledge and extreme poverty of its inhabitants. There are 95,000 people in the Sierra Gorda that depend on traditional sustenance activities, such as farming and the extraction of goods from forests. When the movement started, there were only a handful of volunteers in a totally forgotten rural environment. As in other areas of the country, no regulations existed for the management of its natural resources. 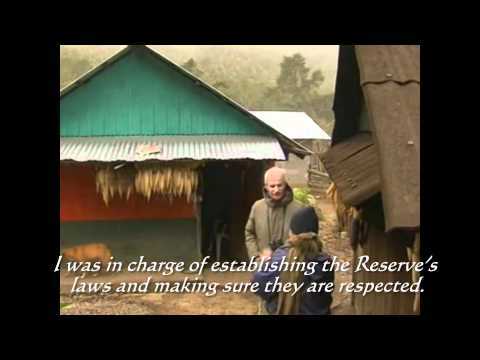 GESGIAP obtained the support of local inhabitants of the area and together requested that the federal government protect the area through the creation of the Sierra Gorda Biosphere Reserve (now recognised by UNESCO). In 2001, it became the first Mexican NGO to obtain Global Environment Facility (GEF) backing to scale its activities up to a full-size project entitled ‘Conservation of the Biodiversity in the Sierra Gorda Biosphere Reserve’, in close collaboration with United Nations Development Programme (UNDP) and the National Committee for Protected Natural Areas. The project included a $6.7 million leverage fund which led to further public and private investment totalling $41.6 million. As a consequence of this funding, 167 co-managed citizens’ sustainability initiatives have been launched within this natural area of 383,567 hectares, creating an ‘economy of conservation’. Since 2003, resources have been committed from a range of domestic and international sources to pay for hydrological and biodiversity environmental services in more than 48,900 hectares of privately owned forest and jungle. This has led to an annual overflow of around $1.3 million and has undoubtedly contributed to the reduction of forest fragmentation (by 24%). It has greatly increased both forest coverage (13,000 hectares recovered from 1996 to 2010) and the financial income of the owners, laying the foundation for a conservation economy. We are opening new doors and possibilities for conservation by commercialising ecosystem services in the Sierra Gorda Biosphere Reserve. We have been especially successful in the voluntary carbon market, with 14 international sales to date and several more pending. Now, rural forest owners who have reforested part of their land with native species (on formerly degraded areas) in recent years will potentially be able to generate extra income by selling the carbon that the young trees are capturing from the atmosphere. In the search for solutions to align conservation and economic development, we have valued the ecosystem services that the reserve offers. In 2010, vegetation in the Sierra Gorda Biosphere Reserve contained 124,065,851 tons of carbon. At a price of $15 per ton, this amounted to a net worth of $1.1 billion. This means that, in stored carbon, communities in extreme poverty are owners of an immensely important and valuable source of natural capital, worth more than the land and timber alone. By building bridges between local owners and investors, an economy can be created that compensates communities by conserving natural infrastructure and by replacing unsustainable traditional activities with those which conserve and protect the environment. Author: Roberto Pedraza Ruiz, http://www.sierragordasilvestre.net, Grupo Ecológico Sierra Gorda I.A.P. 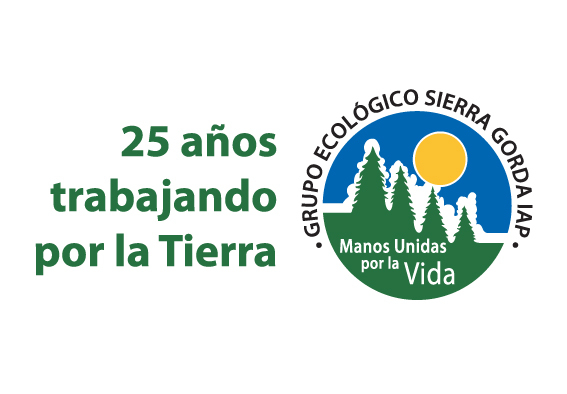 The Sierra Gorda mountain range has been a living laboratory for social, economic and ecological crisis solutions from the very beginning, 25 years ago. In the last few years, the rural highland producers have gotten profoundly involved in a holistic journey to restore the land and ecosystem services by putting value on land managament practices and introducing Holistic Management, Keyline Design, no or low till, as well as the production and application of bio-fertilizers, active composts and microorganisms with the technical expertise of Bosque Sustentable A.C. (Sustainable Forest Civil Association). 1. There is not enough carbon (organic matter) in and on the soil. 2. There is not enough water in the soil. These two facts mean desertification and food insecurity, as well as a predisposition to both flooding and drought. As the Earth IQ quiz on the right hand side explains, soils hold more carbon and more water than the atmosphere, vegetation, and rivers combined. 3. There is too much carbon in the atmosphere. (Carbon dioxide and methane (CH4) are the second and third most powerful greenhouse gases.) 4. There is too much water in the atmosphere. (Water is the number one greenhouse gas. It precipitates unpredictably.) The first two combine with the second two to form a vicious circle, with reinforcing feedback. The more water and carbon in the atmosphere, the less in the soil, generally. The less the soil is able to hold water and carbon, and grow protective and productive vegetation, the more water and carbon in the atmosphere. Both water and carbon cycles are accelerated. The only exit from the vicious circle is to get more carbon in the soil. Water will follow. If this can occur, the vicious circle turns virtuous (transformational change). The more water and carbon in the soil, the less in the atmosphere, and so on. Technology isn’t well adapted to turning atmospheric carbon into soil carbon. Biology is well adapted, but it’s a process, neither a quick fix nor a programmatic one. This poses a problem for institutions, organizations, markets, and government agencies who may wish to increase soil carbon. 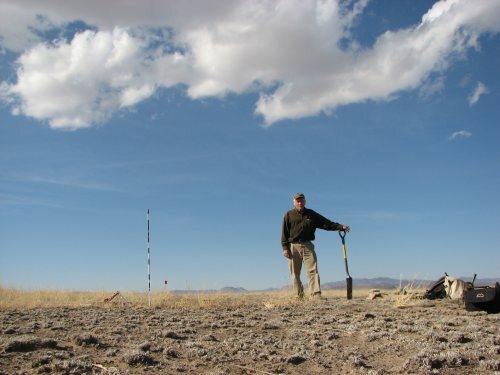 But it is an opportunity for land managers of all kinds, particularly those who want to work with biosphere processes such as the carbon cycle, water cycle, and succession, rather than against them. When dealing with biological and social processes, direct action typically results in backlash or unanticipated side effects. What are more powerful are the selective forces we can put in place. If we routinely spray glyphosate, for example, we are selecting for resistant weeds. If we let livestock remain on one pasture all season, we may be selecting for weedy, unpalatable plants and bare ground. If a boss favors employees who tell him what he likes to hear, he selects for words, not actions. Selective forces are powerful allies when dealing with biological and human processes. These selective forces include: Goals. Negative, problem-based goals, or managing against what we don’t want, typically selects for a continuation of the problem. A positive goal, managing for what we want, can be a powerful selective force, particularly when combined with monitoring. Opportunities. Thomas Kuhn (The Structure of Scientific Revolutions) wrote that rational argument or proofs seldom change scientific paradigms. What changes them are opportunities to address new questions and new challenges. Reward systems are also selective forces. A very powerful selective force can be the opportunity for consumers, for example, to opt out of a dysfunctional or unsustainable system (e.g. by buying pasture raised meats and milk). An opportunity for farmers and ranchers may be to opt out of an input-output production system that puts them at the mercy of suppliers and commodity markets. Monitoring. This can influence our selection of choices and management strategies. What is working toward our goal, what isn’t? With complex systems that don’t have determined outcomes, such as most of biology and human affairs, monitoring is essential to creativity and innovation. Facilitating shifts in beliefs and behaviors. What we believe, and how we behave, are primary selective forces in everything we do. Education, awareness, and creating a safe environment for people to make shifts are incredibly important, especially as the “us versus them” polarity frequently encountered in human conflicts greatly restricts creativity and keeps us in a frame of managing AGAINST what we do not want. These aren’t separate strategies, but are interdependent. The Soil Carbon Challenge involves all of them. We hope you can get involved.